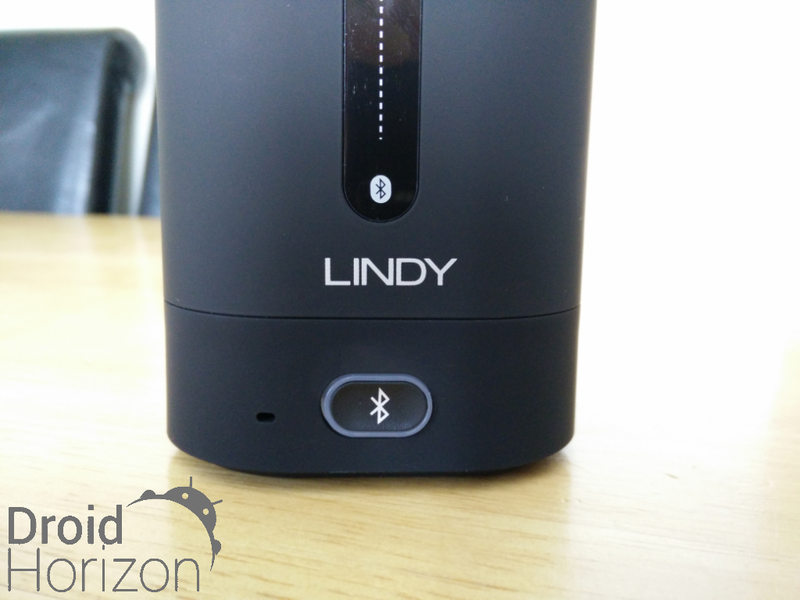 We’re back with another Bluetooth speaker review, this time from a UK company called Lindy. If you remember a month ago we reviewed their dynamic bass control ear buds and we scored them very well in testing. Yes we’ve reviewed a million speakers already ranging from $20 Chinese models right up to better brands like Fugoo and Braven, the Lindy BTS-360 fall in the middle somewhere around the £50 GBP price range which is fairly affordable for most people, sometimes if you pay a little bit more you get a better audio experience. This is often true with most consumer electronics but not all. The Lindy BTS-360 comes in a cylinder shape with a more square edging. Finished in a matte feel black, the accessory does collect finger prints a little. The red trim breaks the black for a familiar design that we’ve seen before but still looks great if a little dated now. Where others tend to use plastics with fake metal, Lindy have went for a solid design broken with red accents. The BTS-360 will look good in any environment be it the kitchen counter or bedside cabinet. The speaker is well built and feels solidly put together, it might take a drop to the kitchen floor once, but, we wouldn’t want to test that. This isn’t a rugged outdoors accessory, nor, does it have any waterproof rating. 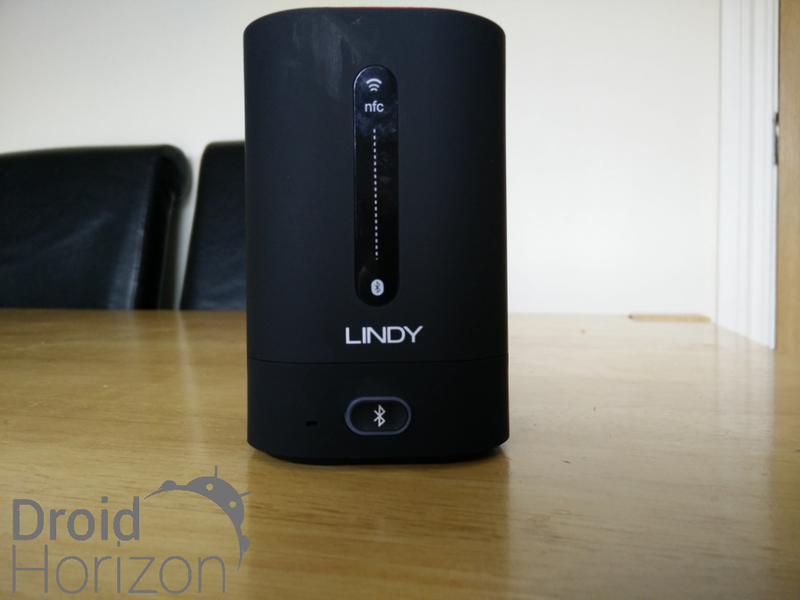 Keep the Lindy BTS-360 safe on a shelf and don’t take it to the beach, it’s too good a speaker to break. From having a look around the unit, the seals are tight and edges are finished cleanly. We’re more than happy with build and construction. So what does it sound like? Actually the Lindy BTS-360 sounds great. With 360° surrounded sound the speaker fills the room and the bass is tight and controlled with the reflex chamber. 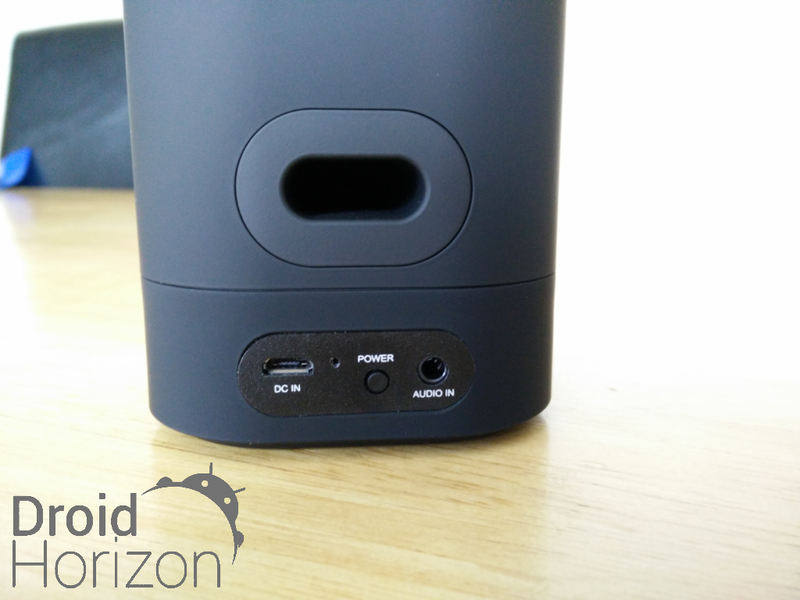 With no volume rocker on the device it’s self, high volume might be limited to your device. 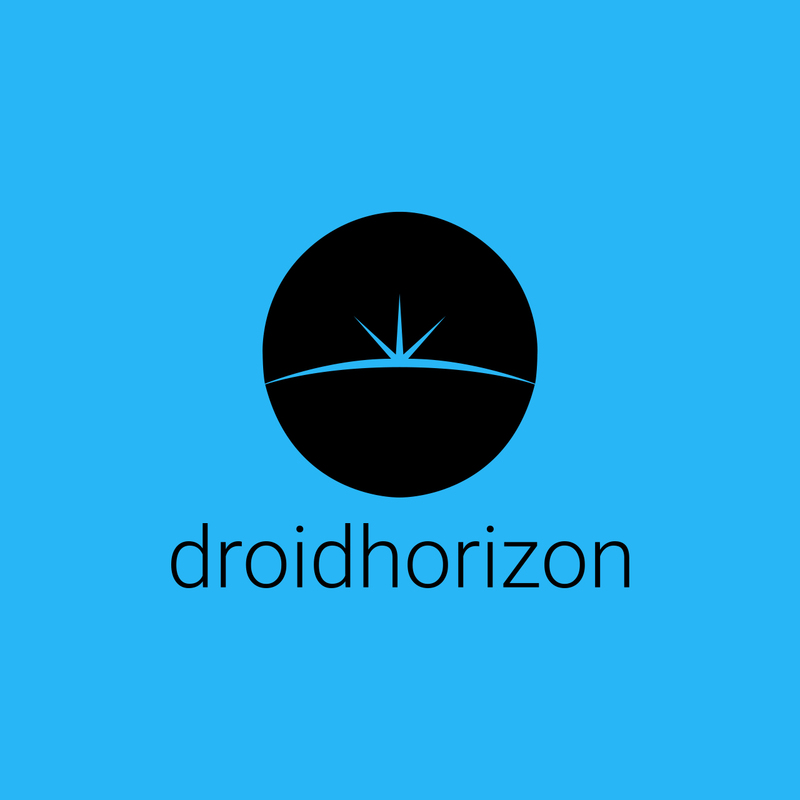 (I cranked it to full using my OnePlus One with no audio FX, max volume was crisp and clean.) Not a fantastic sound playing tracks with lots of vocals though but clear enough for everyday listening. Great if you like moar bass, EDM & Hip Hop, those genres aren’t always what I listen too though. 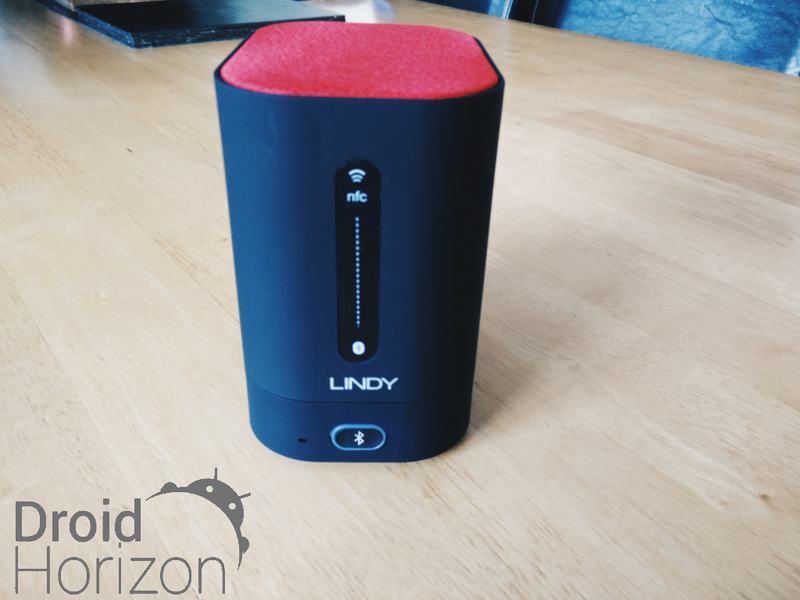 Without a doubt we’d recommend potential customers to purchase the Lindy BTS 360 Bluetooth speaker. If you like moar bass in your tunes and a clear sound that fulls the room, this should do you very nicely. Bringing price into the equation, you’ll find it hard to get a speaker that looks good, offers the sound you want and has absolutely fantastic connectivity around the £50 mark. The Lindy BTS-360 is now my go-to speaker!